How can zoos and aquariums foster cultures of care and conservation? Every year, an estimated one tenth of the world’s population passes through the gates of zoos and aquariums. Aquariums, zoos, and other conservation institutions are uniquely poised to influence our capacity for concern, empathy, affection, and, ultimately, care for others. Join Senior Scholars Jeanne Gang and Sylvia Earle and our other contributors as they consider how zoos and aquariums can foster a culture in which people care for both each other and for the rest of nature. This series was made possible in part through the generous support of the South Carolina Aquarium. Zoos and Aquariums are safe places where people of all ages can experience wildlife in ways that are not otherwise easily possible, particularly in urban settings. As we visit zoos to learn about animals and conservation, we have a unique opportunity to also learn about and promote world peace. Conservation is dependent on peaceful human relationships. If we choose to take our zoo conversations further—to talk about peace—then we open new doors to a future that is sustainable, resilient and can help change society for the better. Zoos and aquariums know how to house animals in beautiful natural habitats and create unique visitor-animal experiences, which foster emotional connections. Educational messages link animal welfare with human activity and environmental impact, like climate change or deforestation. But are these animal-human connections enough? When zoos seize the opportunity to go even deeper and wider in their educational conversations, platforms for peace emerge. When we advocate for the intrinsic value of national parks, preserving millions of acres of pristine wilderness, we are talking about peace. Peace is at the core of evidence that parks and wild places are necessary to human spirit and health. And when we teach the United Nations’ Sustainable Development Goals (SDGs), which emphasize sustainable cities, renewable energy, responsible consumption and production, quality education, and the empowerment of women, we transform our visitors into advocates for a peaceful world. Zoos can create youth forums for dialogue on how to build new communities that not only place value on these SDGs, parks and wild places, but also build peace between neighbors of all kinds. Aquarium and zoo experiences can best prompt us to care and connect to nature when we do not think of ourselves as “superior to or dominant over nature.” Peace is about unity. Western society is currently organized as if we are separate from nature and from other humans around the planet. Conservation of other species can only be achieved when we humans develop the willpower to create peace on the earth and live in oneness with the earth. By opening the doors to a peace dialogue and its broad-based, interwoven topics, zoos can pave pathways needed for a culture of care and conservation. We have a head start: Good aquariums and zoos are inherently places of peace. They showcase and promote biodiversity, are open and welcoming to all human cultures, and teach that nature runs on harmony and interconnectedness. Taking the next step to advertise and promote peace principles, peace dialogue, and peace action is easy. With flags from countries of origin of the zoo’s animals flying at the front entrance, you walk under the sign, “Welcome to Your City’s Zoological Peace Sanctuary!” You notice that all the graphic signage is multilingual and inviting to all members of your local community. As you walk through the zoo, you experience a sequence of peace-themed sections. 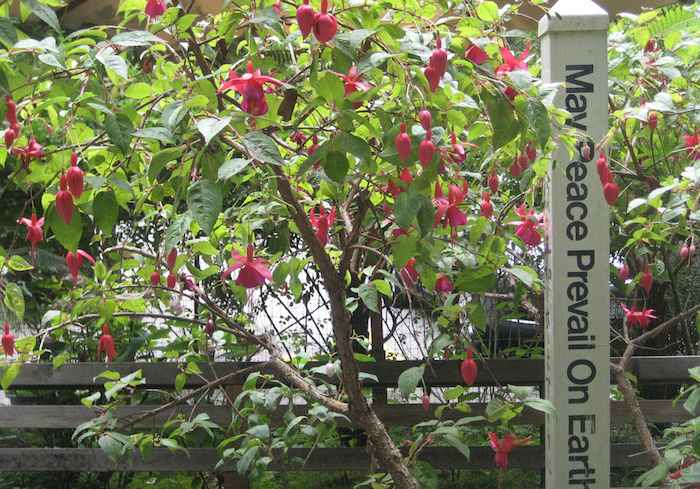 First, you enter a beautiful peace garden with a Peace Pole that has “May Peace Prevail On Earth” written in several languages. In this place you are introduced to the concept of peace and explore ways in which to embody peace. 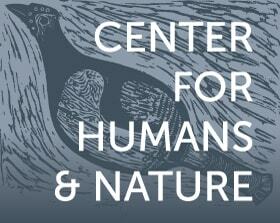 Next you encounter biology and ecology lessons that demonstrate how peace is integral to natural systems. Diversity of both animal species and human cultures are highlighted. Biodiversity combined with human diversity creates bio-prosperity, which is another way of describing peace. You come to an elders’ tree and watch a performance of stories where animals and humans interact in folklore. As you leave the show and continue on your journey, you encounter present-day conflicts between humans and animals, such as the “96 Elephants” campaign to stop the killing of elephants for the ivory trade. These conflicts are explored in multiple ways through art, drama, graphics, dialogue, webinars, and videos. By digging deep into the issues, root causes of each conflict are revealed. Then possible sustainable solutions are presented, chosen, and practiced. The live animal habitats along the way highlight these solutions, showing the harmony that can exist between humans, animals, and the earth. As you exit each conflict and peace station, there are suggestions and discussions for what you can do to promote peace in your own home, work, and community. You exit the zoo feeling hopeful that animals and humans can co-exist together. You have a better idea of how to begin to access peace in your own life and in your community. You realize that today’s zoos are a place where real issues can be honestly discussed and community solutions created. You realize that zoos care about human life as well as animal life and about making this a better planet for all. We have not yet built the first “peace zoo” as described above, but it has been planned at one sanctuary. However, a few zoos and many organizations around the world have taken first steps by planting Peace Poles and peace gardens to begin to talk about peace and explore a new “peace sanctuary” role. When Zoos and Aquariums choose to transform into twenty-first century peace sanctuaries, they offer hope—hope that our current world of violence and separateness can be remodeled into a world of peace, prosperity, and interconnectedness. We need each other: animals, humans, and a sustainable planet. Aquariums and zoos can be the places where visitors explore not only the natural world and their connections to it, but also learn how humans can work together to solve problems and achieve a successful, sustainable future and a happy, peaceful existence for all. Martin, S. (2016). “Healthy Parks, Healthy People”. The Log, Warnell School of Forestry and Natural Resources, University of Georgia, Spring 2016, pgs. 16-19. Dr. Gail Lash is a biologist, traveler, labyrinth-walker, writer and peace explorer. Her company, Tourism For Peace, explores ways in which we can be gracious hosts and receiving guests in all walks of life, and facilitates businesses and communities to live a culture of peace.